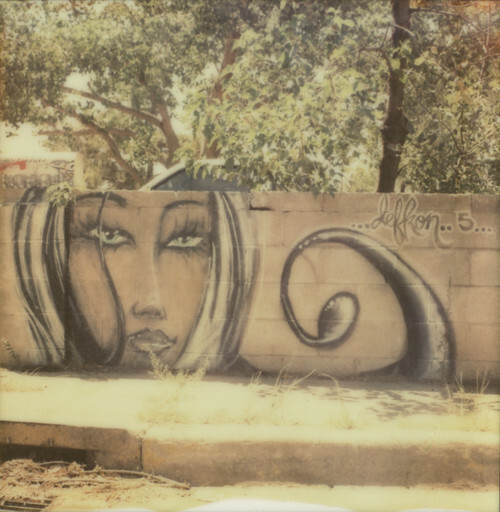 I really love the PX70 Cool film even though I screwed up a few shots in my first pack. The top shot was taken over the weekend. The place is on one of my running routes and I've been wanting to go back and take an instant shot of it for awhile now. I'm glad I finally did even though it was so hot that day, I could hardly stand walking around. And I think it may have been a bit too bright for the film even with the L/D adjustment to darker. But that's New Mexico. Tons of sunshine. Yesterday I drove to the Santuario de Chimayo with hopes of getting lots of good shots. I've taken a lot of pictures of the place so I checked my archives to make sure I didn't take all the same shots again and I found that I don't have many instant shots. That actually made me happy because it meant that I could shoot whatever I wanted! But the afternoon turned into a fiasco. First I realized that my 250 which I had loaded up with some of my treasured ID-UV film was not working. I walked over to the little touristy store to buy batteries, but after installing the new batteries, it still didn't work. I walked back to the car to leave it in the trunk and to retrieve my SX-70 that had PX680 Gold Frame film in it. I figured I could still get some shots. I also had my SX-70 Alpha 1 SE loaded up with PX100 Cool. It was my first time shooting the PX100 Cool and of course I forgot to check whether or not I needed to set the camera to darker. And no phone service out there. So I blew my first shot but learned that yes indeed, the L/D wheel needs to go darker. 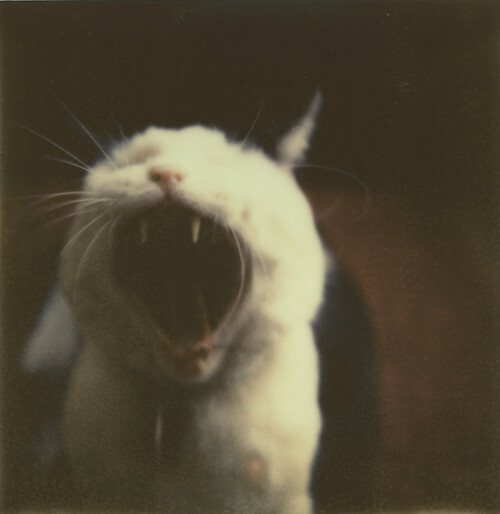 Took a few more shots with the PX100 Cool and all of them left me feeling "eh." Took a bunch of Gold Frame shots which are nice but totally blown out even though I was shooting in the shade. And I kept fretting about my not working 250. For being in such a sacred place, I was in a terribly foul mood. Today is a new day and I was going to go back to Chimayo because magically my 250 is working again, but now my car is in the shop! Oy! But at least I am in better spirits and do not feel like my head is going to explode.